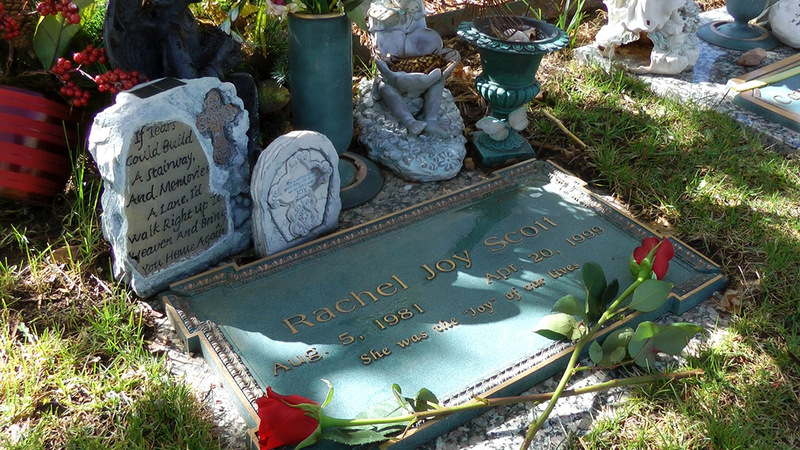 Rachel Scott was born on August 5, 1981, in Denver, Colorado, the third of five children of Darrell Scott (1949 – ) and Beth Nimmo (1953 – ). Her older sisters are Bethanee (1975 – ) and Dana (1976 – ) and her two younger brothers are Craig (1983 – ) and Mike (1984 – ). Her father had formerly pastored a church in Lakewood, Colorado. Rachel’s parents divorced in 1989, but maintained a cordial relationship to one another. The following year, Beth and the children moved to Littleton, Colorado, where she remarried in 1995. Darrell worked as a sales manager for a large food company in Denver. Darrell and Beth had joint custody of the children. 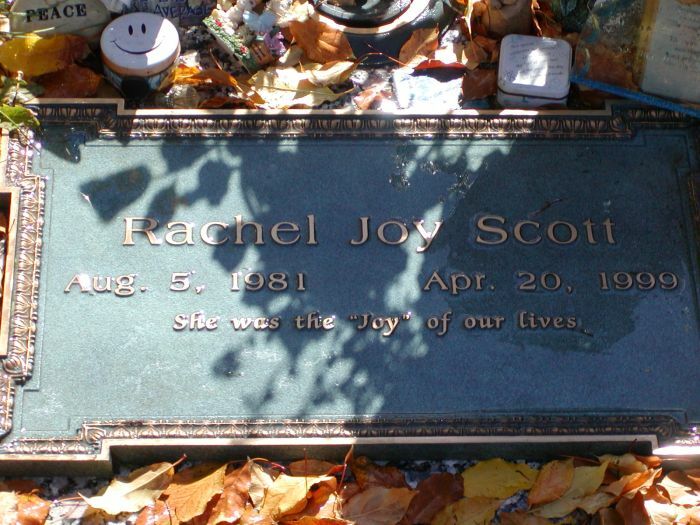 As a child, Rachel Scott attended Dutch Creek Elementary School, and subsequently Ken Caryl Middle School. Coincidentally, she knew Dylan Klebold from a class they shared in 1999 and Dylan and they were members of Columbine’s theater production club. They have known each other since kindergarten. Dylan ran audio for a talent show a month and a half before where Rachel performed a mime act to the song “Watch the Lamb.” The name Rachel means “Little Female Lamb.” Rachel’s younger brother, Craig, was in the school library during the shooting. Ten students were killed including two of his friends, Isaiah Shoels and Matthew Kechter, next to Craig. Craig helped pick up an injured girl and rallied students to safety. Two days later he appeared on the Today Show with Isaiah’s father in an interview in which Anchorwoman Katie Couric stated it was “one of her most memorable and even spiritual experiences she had ever had.” Rachel’s parents also appeared on a show with Maria Shriver immediately after sharing on their personal choice of forgiveness and the principle of it. At the time of her death, the 17-year old Columbine High School senior was an aspiring writer and actress with summer plans to visit Botswana on a trip to help build homes. Two weeks prior to the shooting, she had a lead role as an alternative character with sharp wit and kind heart. The play was titled “Smoke in the Room” for which Dylan ran the spotlight. 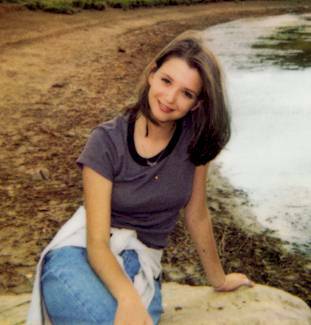 Described as a very devout Christian by her mother, Rachel Scott was active at youth group and a leader in a Bible study group called NaCl (periodic table symbol for “salt”). According to friends, she often wore a variety of hats and clothes showing a colorful personality. 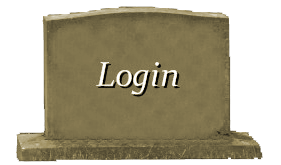 She left behind six diaries along with journals with friends of shared experiences and encouraging notes. 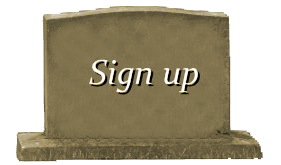 Many writings were addressed to God. On the cover of one journal she had with her the day of the shooting that in which a bullet was lodged into, she wrote “I write not for the sake of glory. Not for the sake of fame. Not of the sake of success. But for the sake of my soul…” In other writings there was a theme of “reaching the unreached” through acts of kindness and compassion. She also drew a picture of two eyes crying thirteen teardrops onto a columbine flower (the teardrops coincidentally represent the same number of victims that would be killed in the massacre). Rachel Scott was shot while eating lunch with her friend, Richard Castaldo, on the lawn outside of the school’s library. She was killed by Eric Harris with multiple gunshot wounds to her head, chest, arm, and leg. According to Richard’s first account after awakening from a coma, Richard told his parents the last account of Rachel’s life as being mocked for her faith. He also said he heard Rachel crying before taking the fatal bullet to the head as he lie unconscious. After the killings, her car was turned into a flower-shrouded memorial in the adjacent Clement Park after being moved from the school’s parking lot by grieving students. A long chain link fence was installed for mourners to attach teddy bears, letters and other gifts.